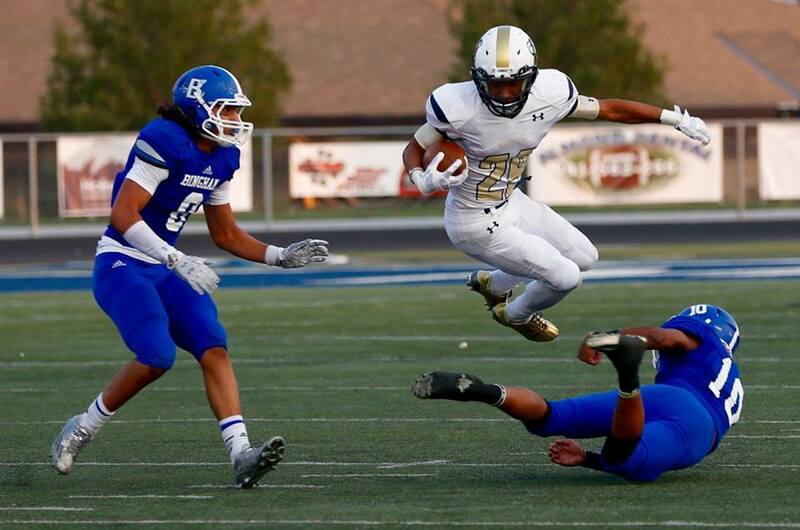 SOUTH JORDAN, UT – The nationally-ranked Bingham (South Jordan, UT) Miners got the 2015 season started in a big way Friday night with a 38-0 win over the Westlake (Saratoga Springs, UT) Thunder. The Miners entered the game ranked as high as No. 8 in the USA Today computer rankings, and the contest also featured the debut of John Lambourne as head coach of the Utah powerhouse. Lambourne, a Bingham assistant since 2000, took over for former head coach Dave Peck who resigned following last season. The long-time Miner assistant spoke in the days leading up to the game about the change being more of a continuation than the beginning of a new era. It certainly appeared that way starting late in the first quarter as Bingham overcame a shaky start on offense to forge a 10-0 lead by the start of the second quarter. They extended that lead to 17-0 by halftime before putting the game away in the third period with three unanswered touchdowns.